Kids from Lagos State currently participanting at the ongoing Real Madrid Foundation Soccer Clinic at the Campos Square Mini Stadium, Lagos Island on Friday say they are ecstatic about the project describing it as a lifetime opportunity. The kids between the ages of 7 and 17 who spoke with newsmen also fancied playing in one of the best club in the world with the opportunity at their doorstep in achieving their dreams. Newsmen report that the 10 days soccer clinic by SPR Luxury Limited in patnerships with Spanish club, Real Madrid now have in attendance over 300 kids as against 200 that it started with. The football clinic is being supervised by the Real Madrid instructors, Daniela Rotella and Rodrigo Rubles who are working assiduously to get the best out of the soccer clinic. However, in expression of their eagerness and excitement at soccer clinic, most of the kids do besiege the stadium early enough even before the stadium gates were opened for them to gain access. Speaking to newsmen, excited Emmanuel Siggini said he was over the moon having to have a trial with his dream club Real Madrid. “I feel good about the exercise because I know this is a great opportunity for me to have a trial with the club I love and support and I am so glad to meet those coaches. “This should give me the opportunity so that we can be able to achieve what we I in the future to be a star. I really want to thank Real Madrid and the Sponsors for giving us this great opportunity. “I really hope to be among the chosen ones,” he said. For 11 year-old Prosper Nwachuku, he was already dreaming to be on plane to Spain at the end of the exercise. “I am very happy to be part of it, all my thinking now is going to Spain and I can’t wait for that to happen. The coaches here are fantastic and friendly. “It is my dream to play for Madrid and maybe this can be the opportunity I have been craving for because they are the best team in the world for now,” he said. A 15 year-old Bolaji Adelaja said he felt good to be part of the exercise adding that the coaching crew were at their best during training exercise. “ I feel good about the soccer clinic and I am ready to give it my best. I will love to go to Spain at the end of the exercise. “The coaches are good and they are also trying to impact positively into our playing style. They have diffrent style and they are not hard on us,” he said. 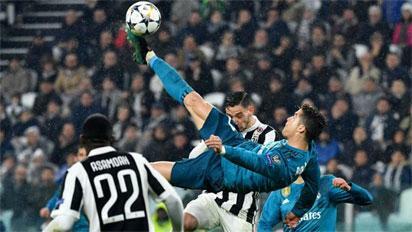 Pelumi Ajayi of Lagos Model College, Surulere said he got the backing of his parents once they knew that the exercise was made possible by Real Madrid. “My parents jumped at the offer when they learnt that I am actually going for the Real Madrid thing. Maybe before they may accept me going for other football clinic grudgingly, but this is a different case. “My dad was totally in support of this and he even gave me transport fare. I hope to make them proud with my convincing play and possibly be among those that will be selected,” he said. The Coordinator of the project, Kayode Bawa-Allah said he was impressed with the turnout of the kids adding that the project would help the kids in several ways. “This is a project designed to help the kids and I am happy that most of the kids are here, it will help them to achieve in future. “Th kids are being taught Real Madrid philosophy overall, I am happy with the turnout of this kids and also to see many more coming,” he said. The post Real Madrid Foundation Soccer Clinic excites Lagos kids appeared first on Vanguard News. S. Sudan reiterates commitment to peace amid doubts by U.S.